I am never one to stay still on my vacations. 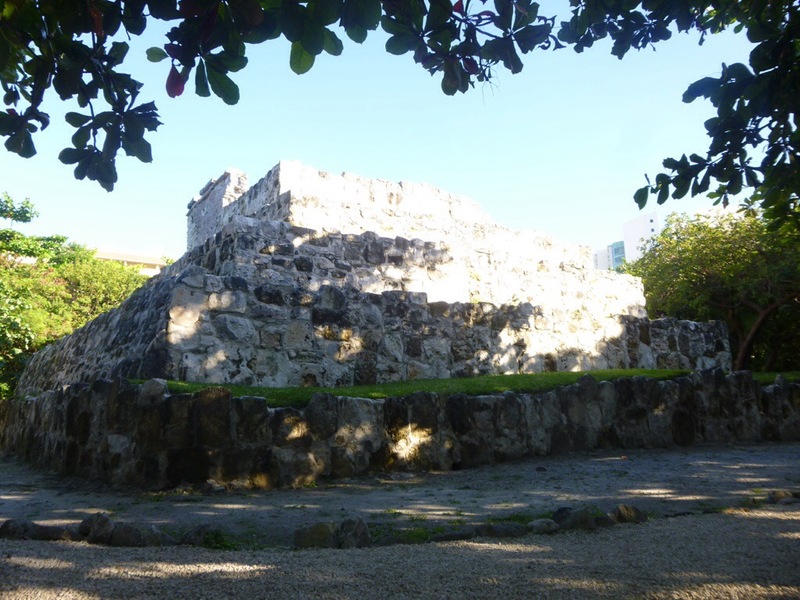 Cancun has gorgeous beaches and soft, white sand, but nothing is more mysterious and riveting than the majestic Mayan ruins a stone’s throw away. 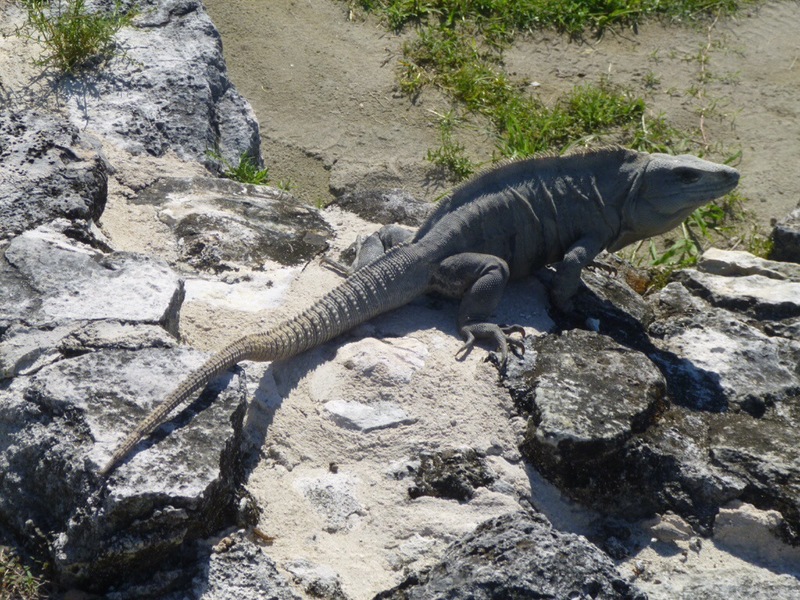 The KING these days in the ruins are the thousands of iguanas! 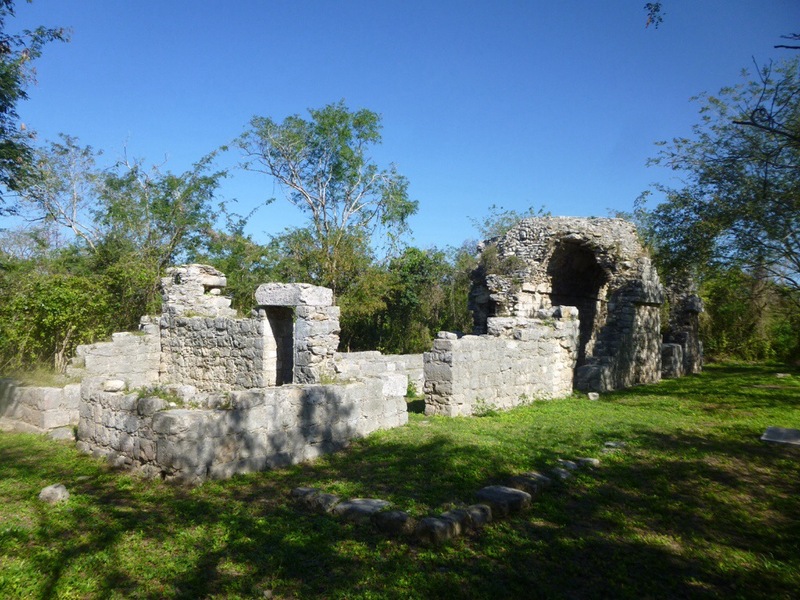 Interesting and sizeable ruins in Zona Hotelera which is quite low key. The column buildings are the highlight. 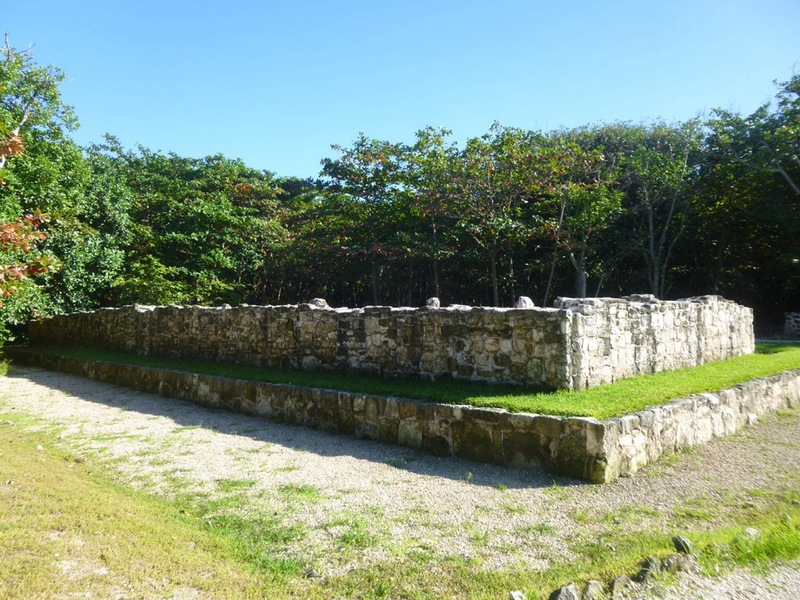 The ruins of San Miguelito has been incorporated into Museo Maya. It is a shady reprieve from the Sun and throngs of tourists. 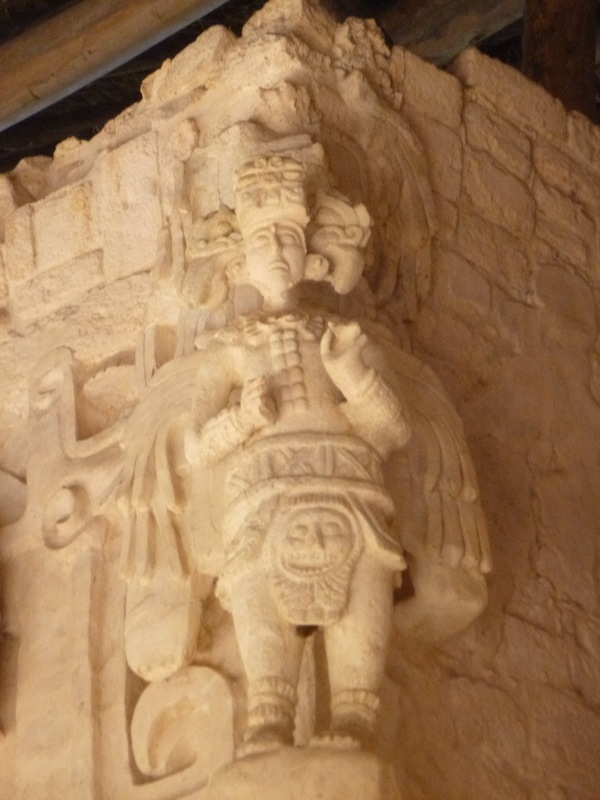 The museum itself has interesting displays of Mayan pieces from ruins all over Mexico, from incense burners of Palenque to Atlantis statues of Chichen Itza. 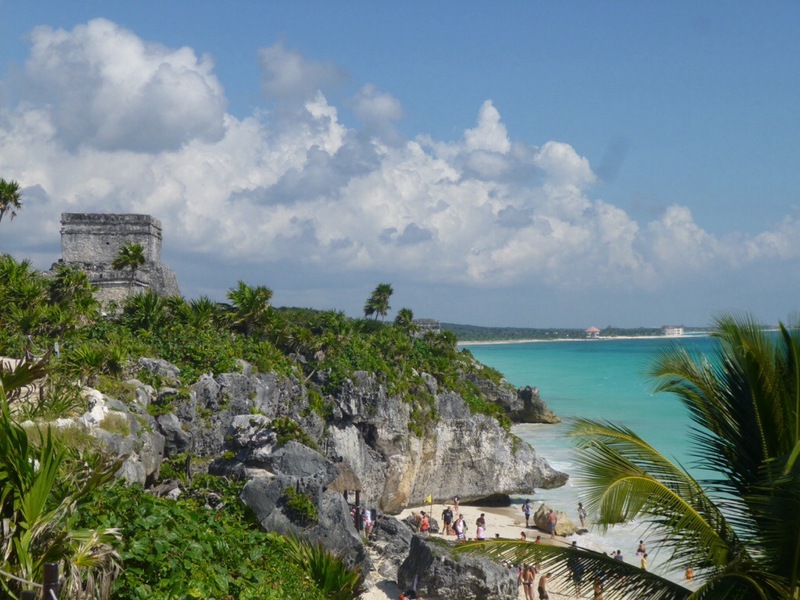 Tulum is special for its location off the cliffs and the deep blue sea in front of the ruins. 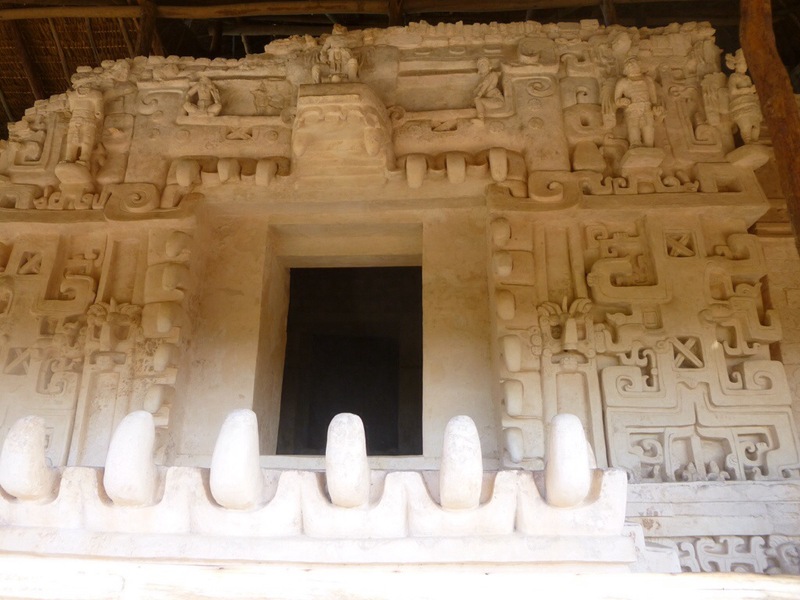 Please see my Tulum and Coba post “Maya Limo Experience”. 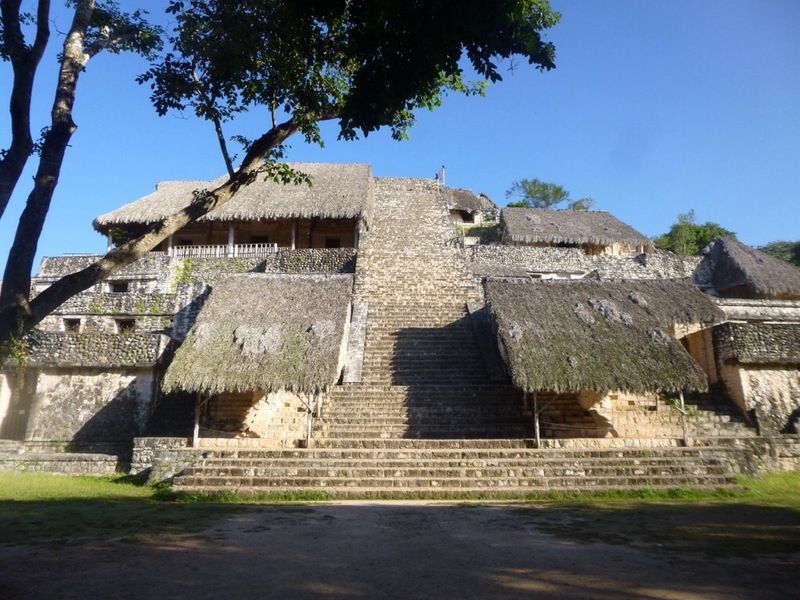 Coba reminds me of Tikal!! 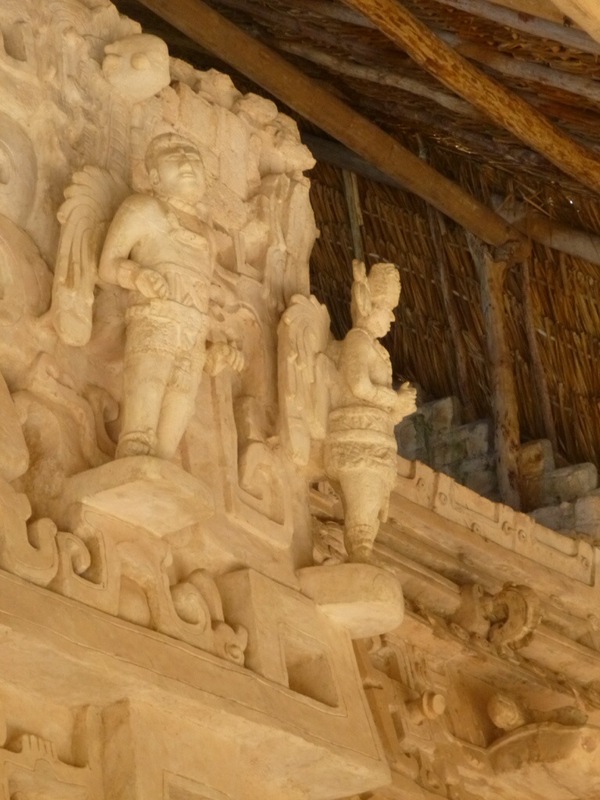 Please see my Tulum and Coba post “Maya Limo Experience”. 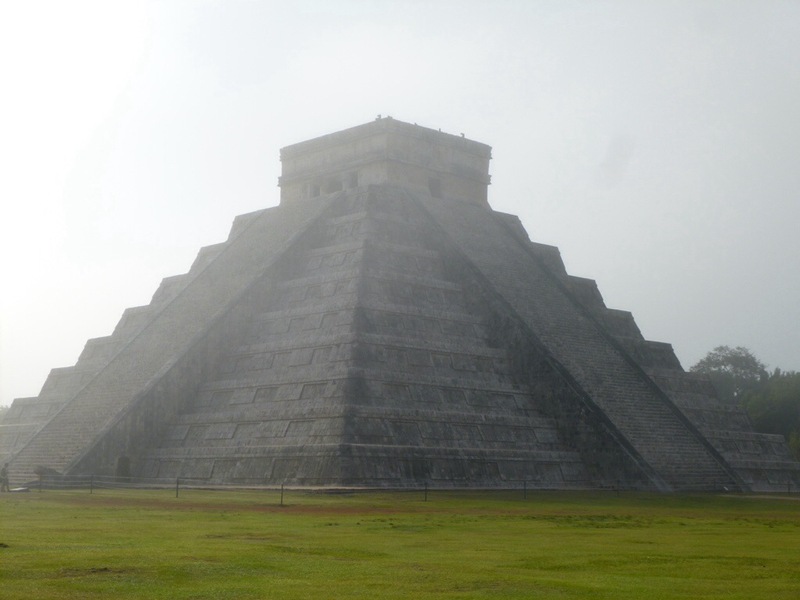 It is undisputable that Chichen Itza is the most famous ruin in the Quintana Roo/Yucatan area. 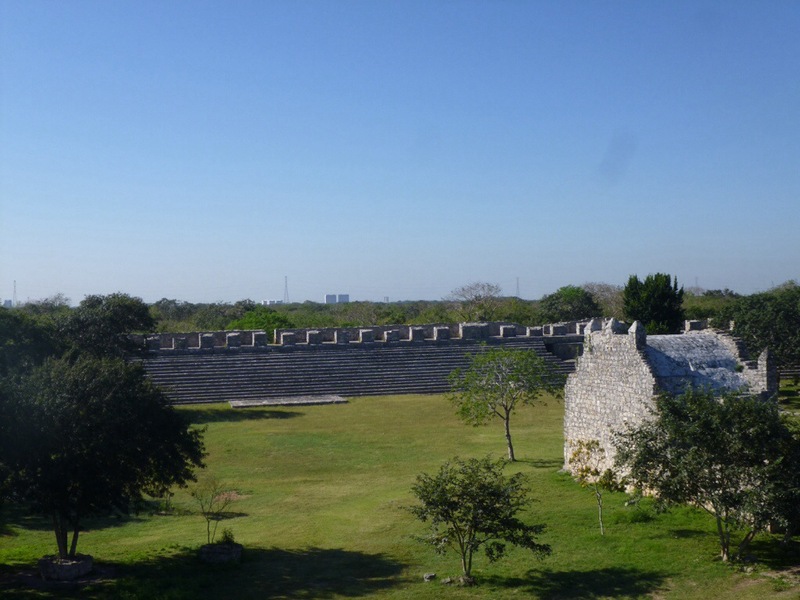 The later occupants of Chichen were actually the Itzaes people, who brought Toltecs influence into Chichen. 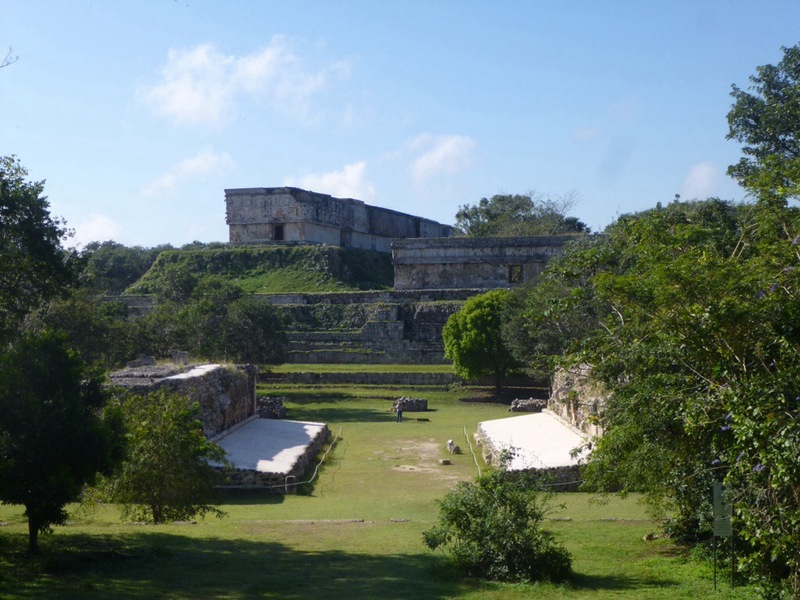 The Mayans were peaceful groups and no one got sacrificed after the sacred ball game (no proof was ever found in any other Mayan ruins). 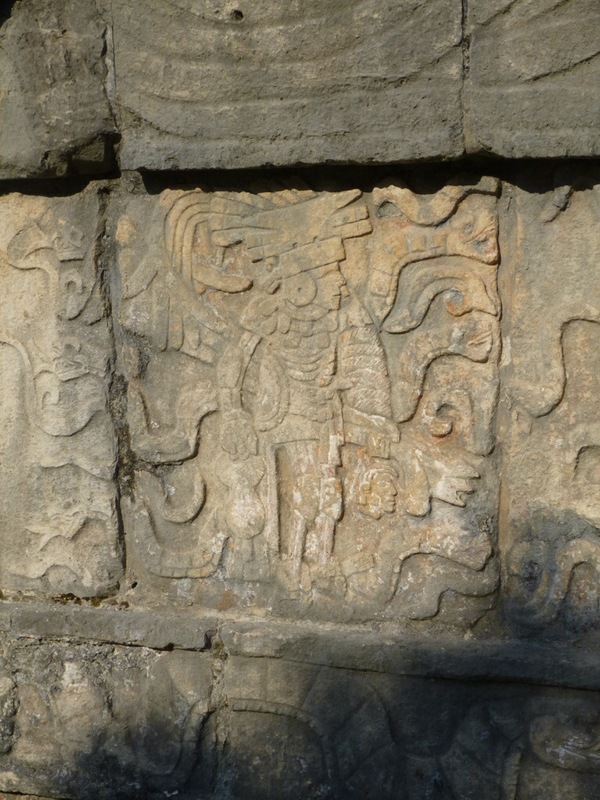 In Chichen Itza, however, there is a carving in the ball court that the captain of the losing team being beheaded. 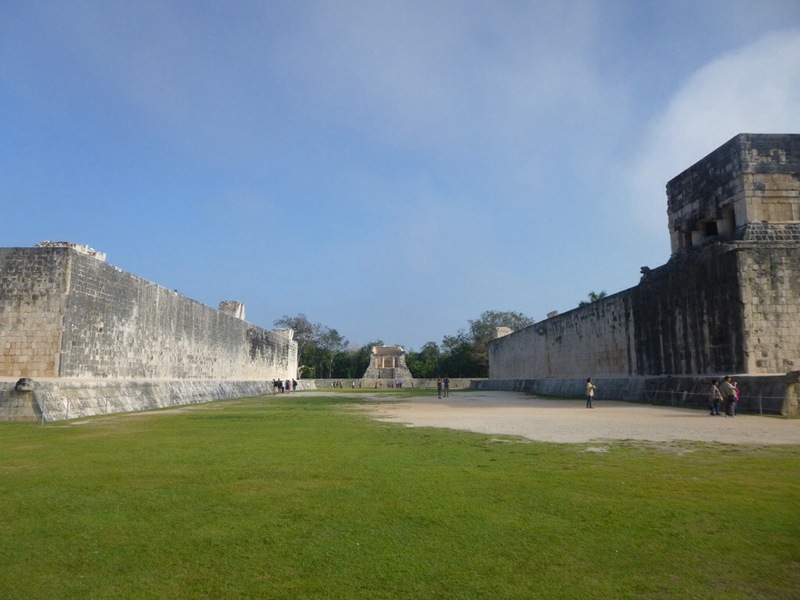 Chichen has the biggest ball court in the whole MesoAmerica. 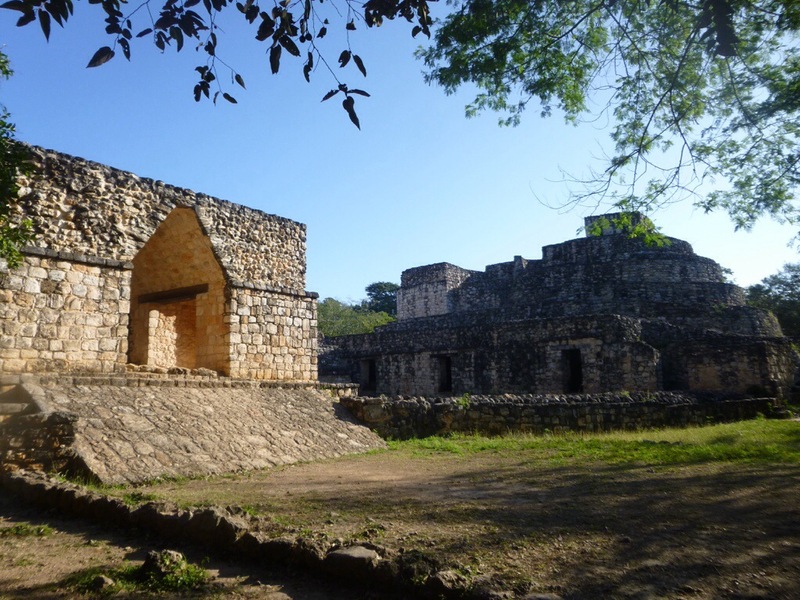 A sacbe from the main complex also leads to the sacred cenote where bones of many people were found, probably holy sacrifices for the Rain God. 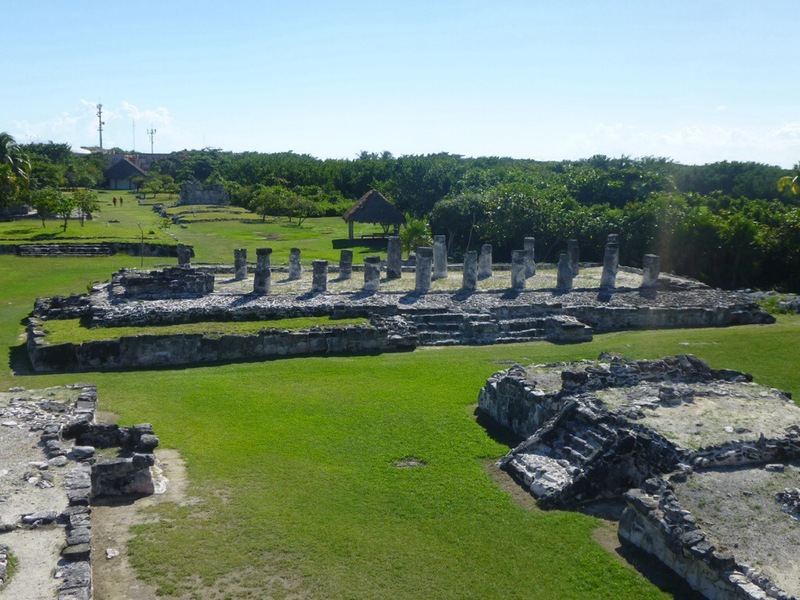 The Temple of the Warriors also feature Chacmul, where sacrifices (possibly the heart) were put and offered to the Gods. 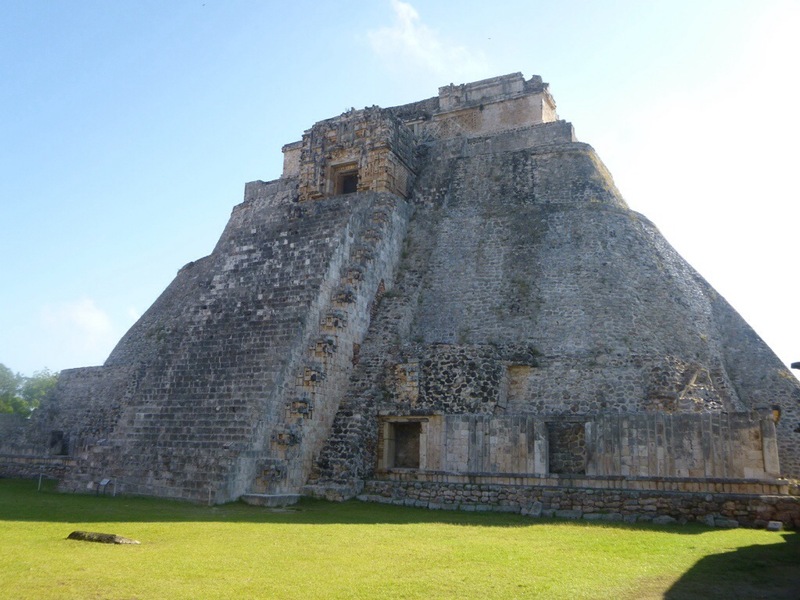 The most famous part of Chichen is of course the Warrior (Kukulcan) pyramid, whose staircases are decorated with two big serpents, perfectly aligned so that during the equinoxes, it seemed that the serpents become alive and roam the land to give blessings to the people. 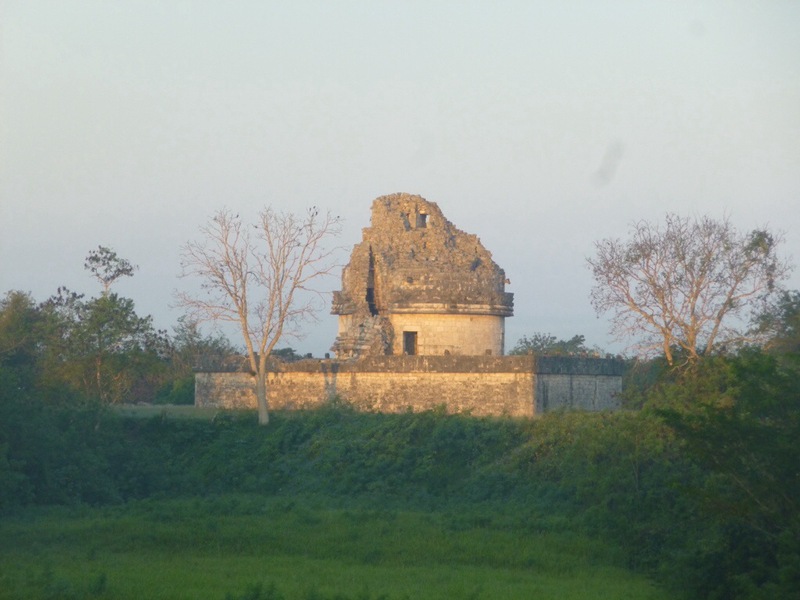 The importance of Astronomy is further emphasized by the Observatory in the oldest part of Chichen with a snail-like top, commonly known as the Caracol (which I could see from my Mayaland hotel room). 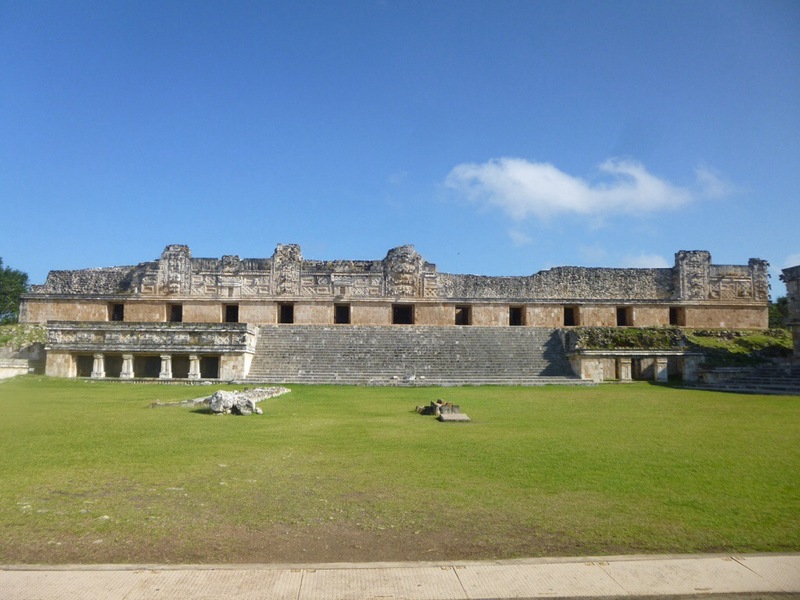 Uxmal is my favourite ruin on this trip! Labna came closed second. 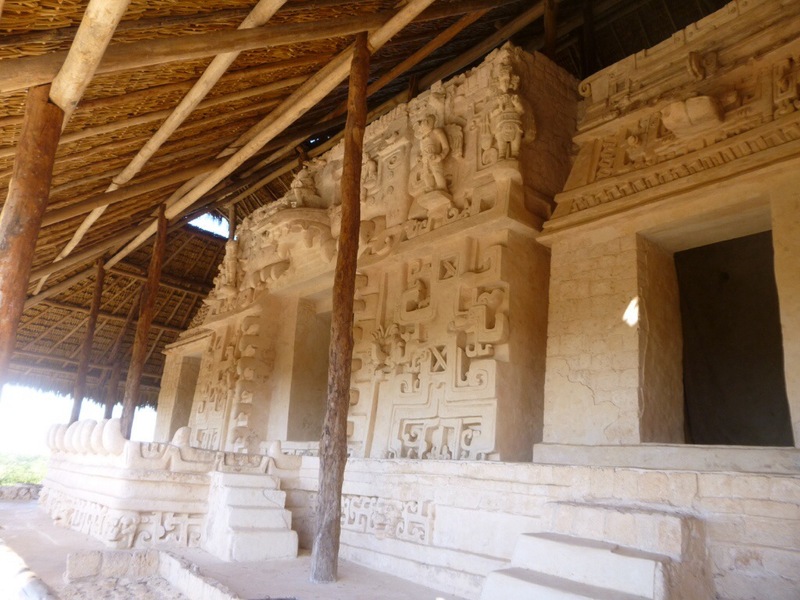 There is just something about Ruta Puuc architecture that is very pleasing to the senses. The pyramids are grand, no doubt. 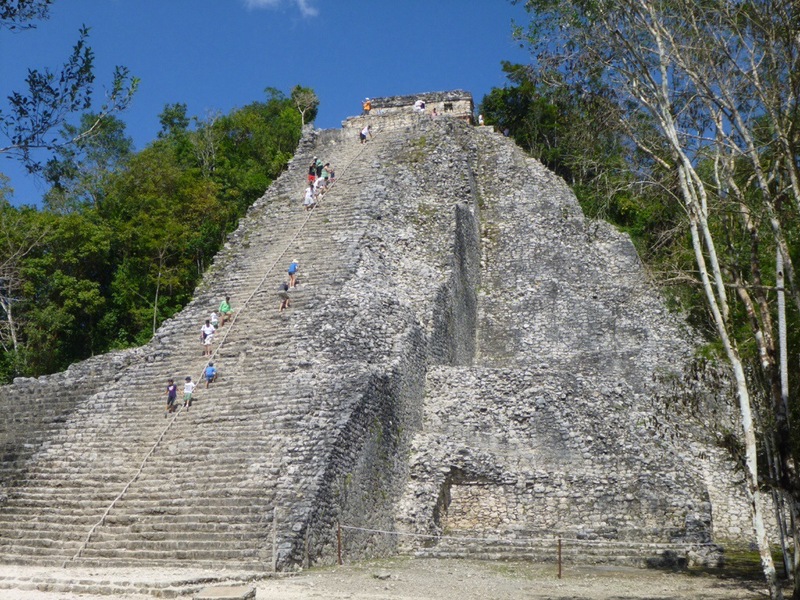 The Magician’s pyramid was built upon five temples. The details are just amazing. I love the lattice design, which represented serpent’s skin. 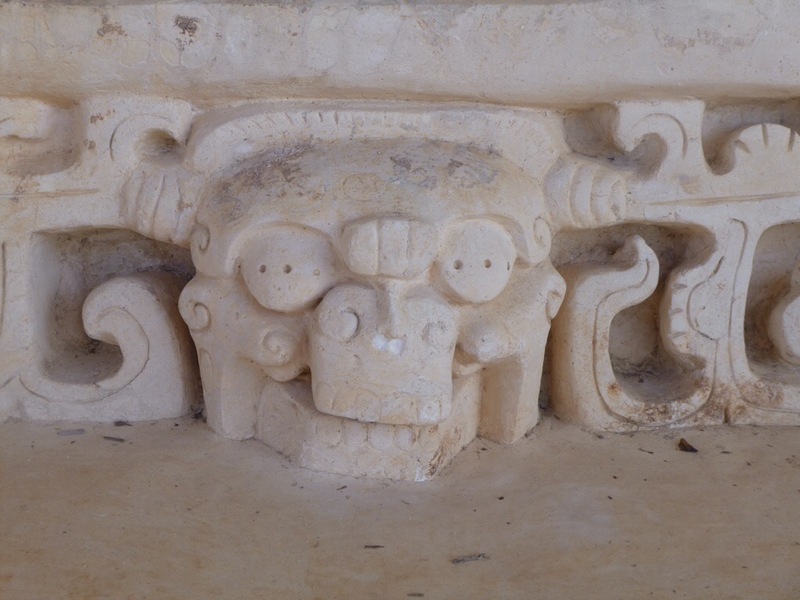 Serpents are very important in Mayan beliefs. This design can be easily seen in the Nunnery Quadrangle. 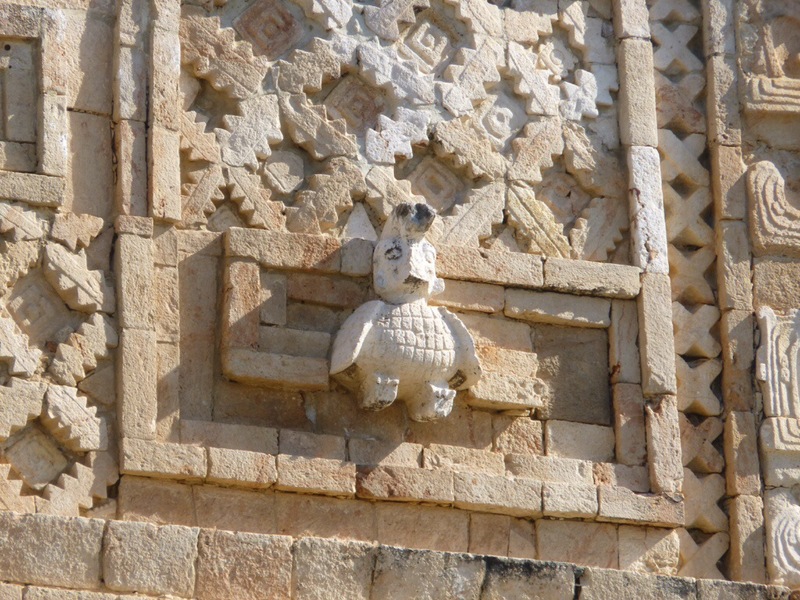 The work on the Governor’s palace and hidden gem-house of pigeons are equally amazing. Before I write about Kabah, let me backtrack a second. 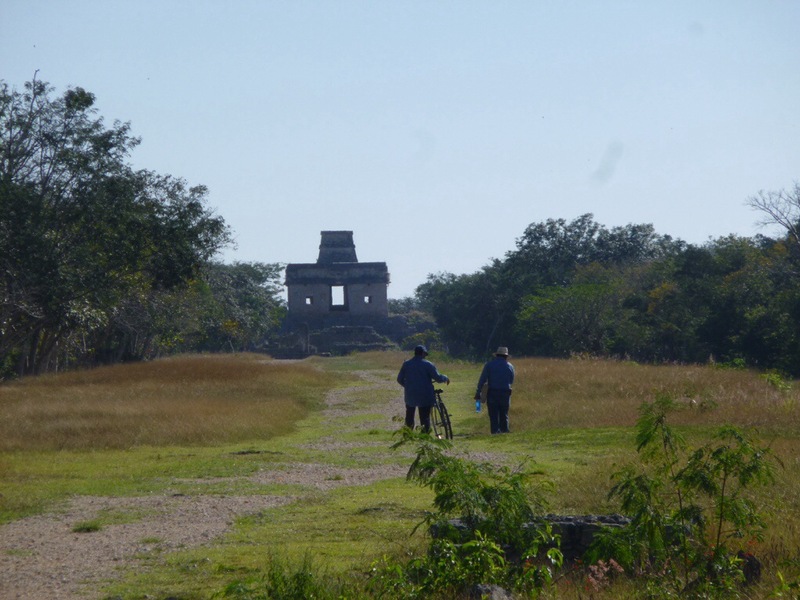 For a Mayan enthusiast, Ruta Puuc ruins cannot be missed. 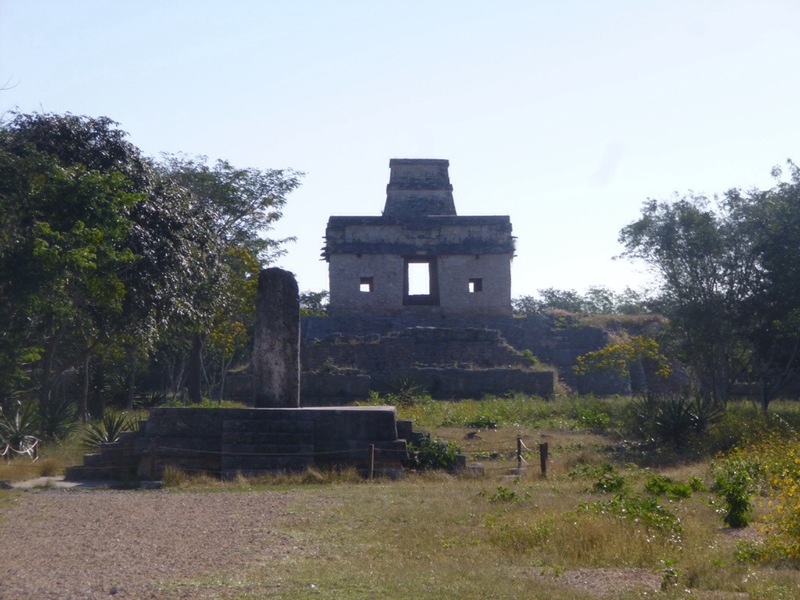 The ruins constructed with Puuc styles visited on this trip are Uxmal (the granddaddy of Puuc architecture), Kabah, Labna, Sayil, and Xlapak. 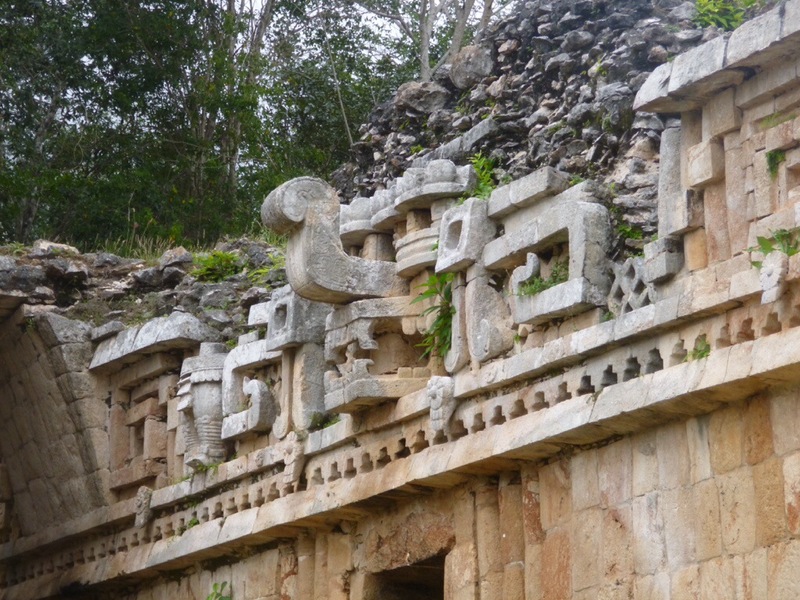 A typical feature in Puuc architectures are Chaac, the God of Rain. 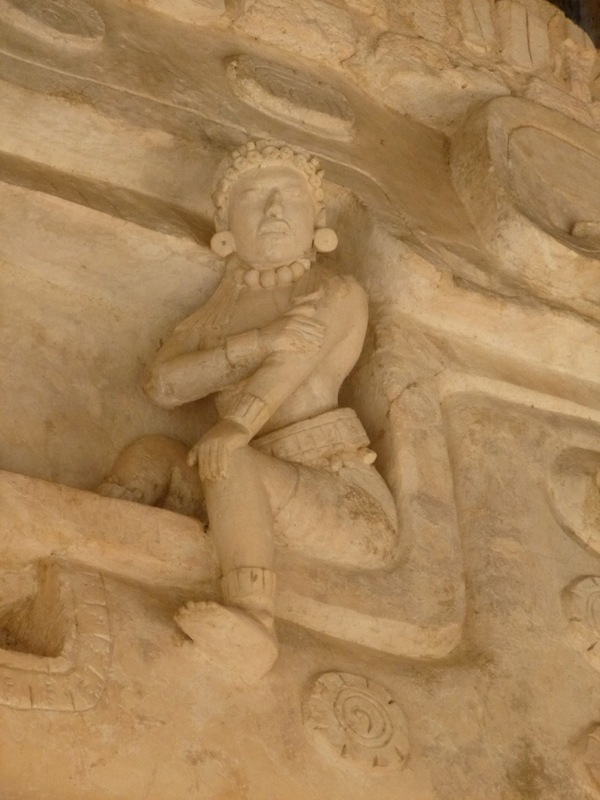 The Puuc region relied on rainwater, and thus, Chaac was very revered in this part of town. This also led to the constructions of grottos where rain water was collected. 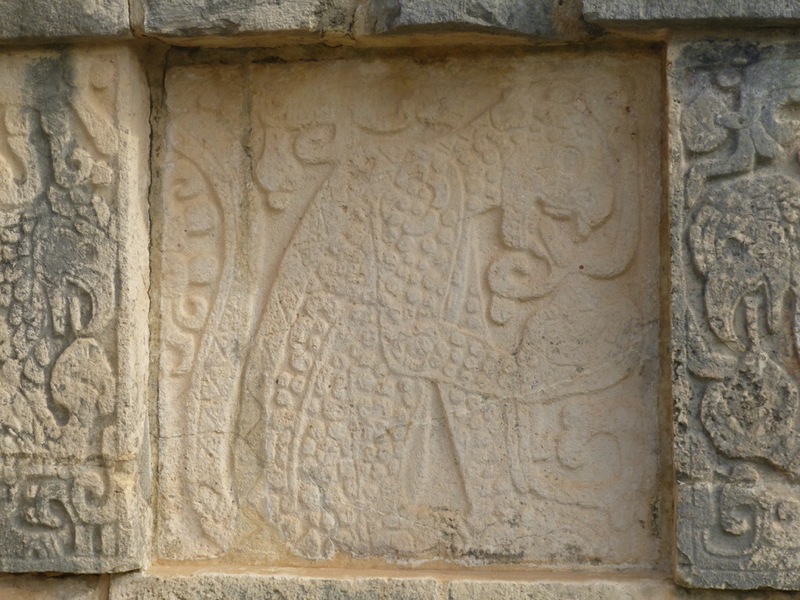 Chaac representation is the square face with long elephant-trunk nose. 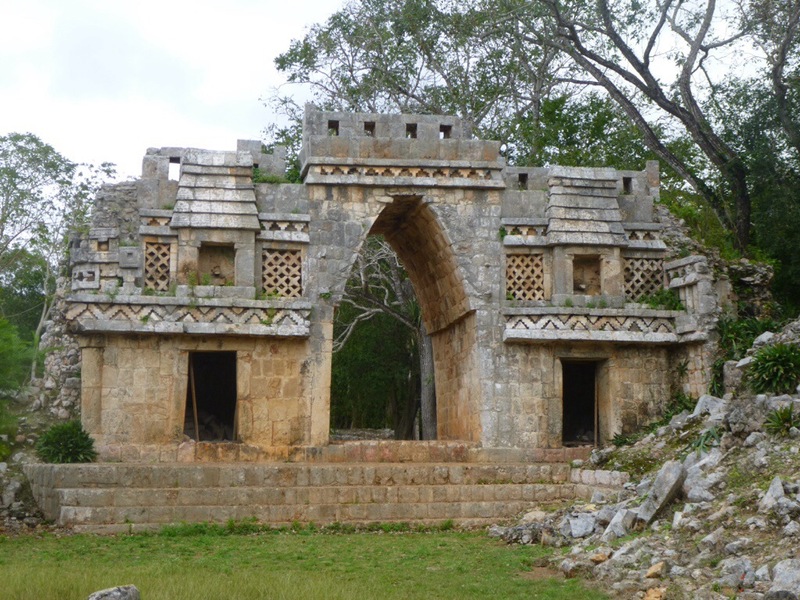 Kabah has an interesting arch leading to a sacbe (Mayan highway). And one can also see a big hill (covered in soil and trees) near the arch. I believe this is Kabah’s great pyramid which has not yet been excavated. The job of the an archeologist is really not celebrated enough. How can they recreate the ruins that we now see from a pile of stones. It is mind boggling. Kudos to their hardwork we can learn about the ruins. 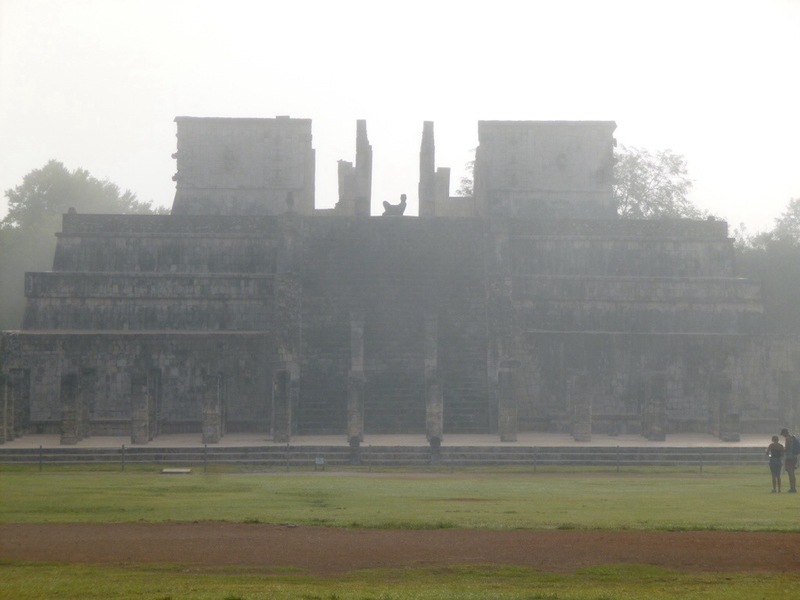 Nothing is as grand as a temple of the seven dolls at the end of the main sacbe on a sunny morning amongst the morning dew. What an amazing experience to be in Dzibilchaltun all by myself for hours!! 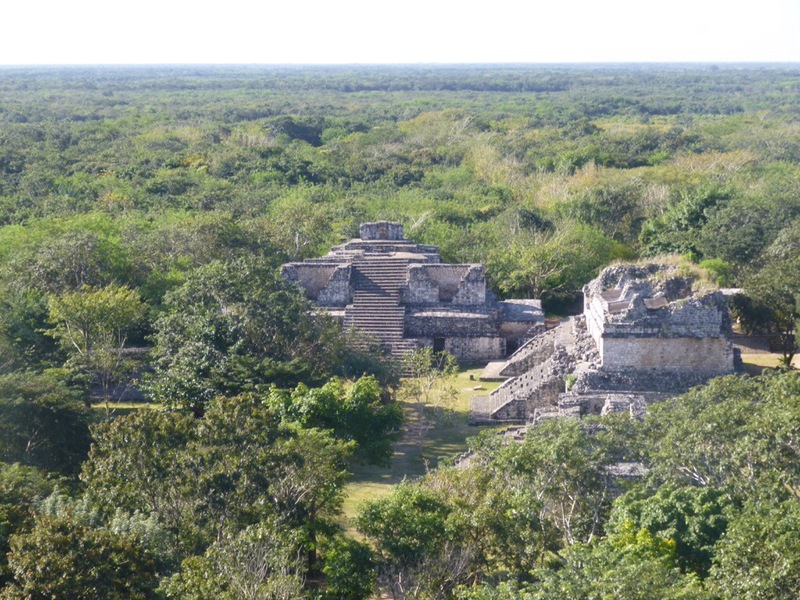 An important feat in this ruin is the 130m building. 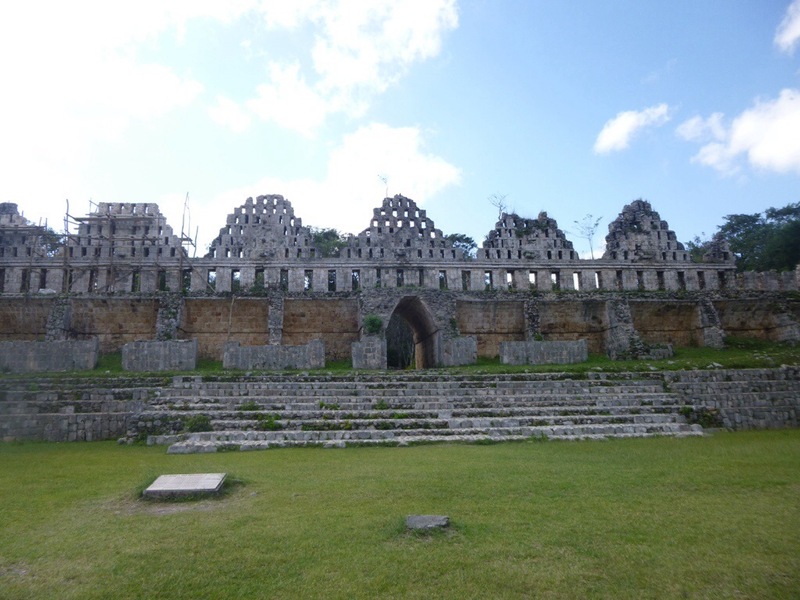 Here you can also see a remain of a colonial church amongst all the Mayan buildings. 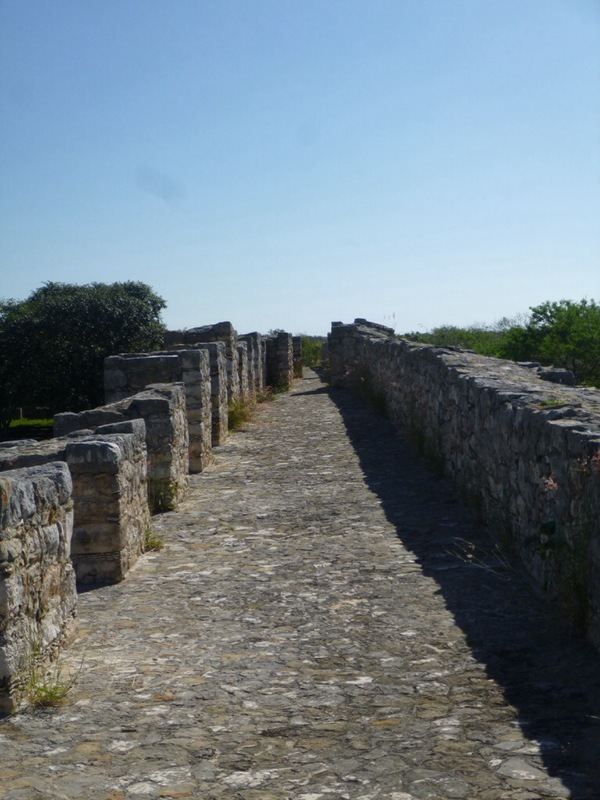 There is also a second smaller sacbe leading to a small temple. Every ruin has their own story, their own architectural style. The best way to see it all is to arrive at 8am in the morning before the big tourist buses arrive. I really had amazing experience in the ruins. 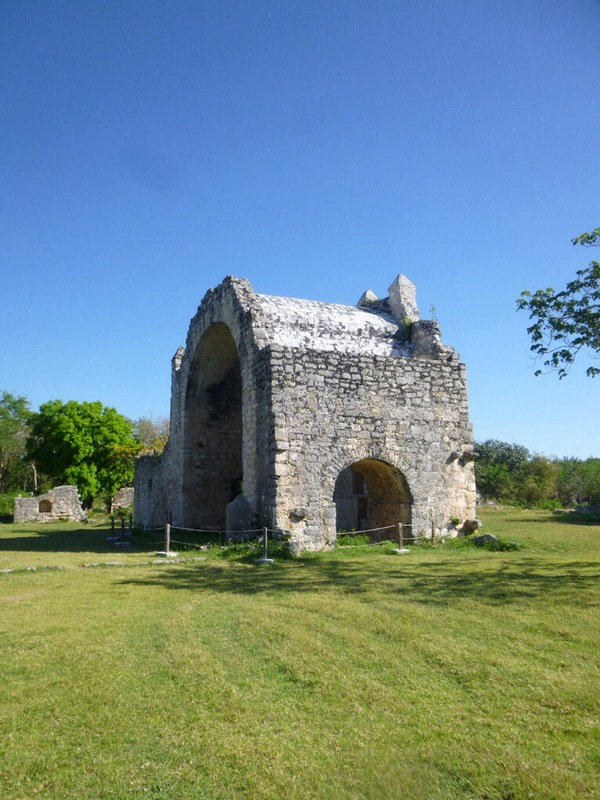 I was alone in some and had some alone moments in each of the ruins: the best time to soak up the sun, the mystery, and the fresh air. It was also the time to let your imagination runs wild of what the place would have been like back in its heyday. I love every step, every stone, and every story that goes with it. 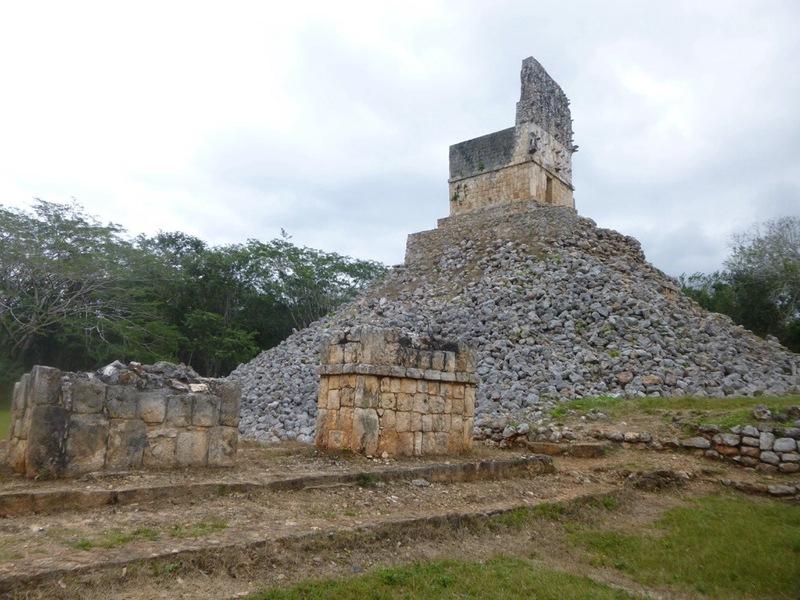 Writer’s Note: please refer to Mayan books, such as one by Dr. Michael Coe to learn about each ruin.